Dancer and teacher, studied classical ballet, folk dance and contemporary dance.  Founding member of Adrienn Hód’s previous company (1995-2007) and also of Hodworks (2007-). During her professional career she worked with over a dozen companies both in Hungary and abroad, and teaches ballet technique and creative dance for mentally disabled people since 2007. She participated in almost all of Adrienn Hód’s productions. Besides her stage-work she is an eager improvisation teacher for children and for seniors. Dancer, teacher, choreographer, graduated at the Budapest Contemporary Dance Academy in 2011. She has been working with Adrienn Hód since 2007, and has been a member of Hodworks since 2009. In her works she addresses experimenting, interested in situations which set the forms and substances free from their fixity: various street actions, interactions and performances, cooperations with theatre (TÁP Színház, Dollár Papa Gyermekei), contemporary dance and improvisation workshops for amateurs and professionals, movement research with László Fülöp, the artistic recontextualization of subcultures with Csaba Molnár. Until now she participated as a creator and performer in 4 performances which won the Lábán Rudolf Prize (Hodworks: Basse danse (2011), Dawn (2013), Timothy and the Things: There’s an elephant in every room… (2014), Hodworks: Grace (2016). The production ‘Sea Lavender’ in collaboration with The Symptoms company won the Special Prize of Hungarian Theatre Critics Awards 2016. Three pieces she collaborated in with Hodworks were also selected by Aerowaves as the most outstanding dance performances of Europe: Basse danse, Dawn, Conditions of being a mortal. The performance of Timothy and the Things titled Your mother at my door co-choreographed by Emese was also selected in the 20 most pre-eminent productions by Aerowaves in 2016. Marcio graduated in 2006 at UNIJUI (RS, Brazil), as a BA in Social Communication – Marketing and Advertisement, joined in 2007 the first generation of the Experimental Dance Group (Grupo Experimental de Danças da Cidade ) at Porto Alegre (RS, Brazil). After that in September 2008, he relocated to Europe to follow SEAD’s Undergraduate Artist Program in Salzburg which he finished in 2011. Ever since he has been collaborating with Adrienn Hód’s company, HODWORKS, based in Budapest (Hungary). Márcio has also collaborated with Matej Kejzar and Keith Hennessy. Since August 2012 he joined Meg Stuart / Damaged Goods for VIOLET, in 2016 Canabarro and Vânia Rovisco choreographed by Meg Stuart perform the duet INFLAMÁVEL. In 2017 he is part of Atelier III and Projecting [Space[ other two project by Damaged Goods. On September 2014 he started working with Peter Pleyer in Berlin for VISIBLE UNDERCURRENT and in 2017 he is part of CRANKY BODIES DANCE RESET a new creation by Peter Pleyer to be premiere in late November. After finishing the Budapest Comprehensive Dance School in 2007, he worked with Hungarian companies such as Hodworks, The Symptoms, Artus, STEREO Akt, Márta Ladjánszki and Theatre JEL. In 2009 He joined the Brussels based Ultima Vez for the production and the international tour of neiuwZwart. He worked with United Sorry in the Forest Project (Peggau, Steirischer Herbst Festival and Brut, Vienna) in 2013. He choreographed KASPAR for Rapid Eye in Danse Hallerne, Copenhagen in 2014. He collaborated in creating Cosmic Body with Ingri Fiksdal in 2015. He joined Hodworks in 2015 for Grace and is part of the team since then. Since 2010 he is making his own works. He created G A P (2012), a sci-fi voyage in the ego-multiverse, It comes it goes (2013), a monotonous jumping piece, One for me, one for you (2014) diving into siblinghood and childhood memories and R E M A K E (2015) a stand-up on the death of the stage performer persona. His new creations are ‘Taking place’ (2016) and ‘STANDING GROUND’ (2017). He is interested in a performance based direct contact with the audience, and he had a chance to experience with this format in Trafo House during NEXT Festival with his pieces ‘Body of pain’ (2015) ‘Performance on the periphery’ (2016). He collaborated with STEREO AKT in their projectsKobers Paradis (2016,2017) and hannsjana\STEREO Akt Escape Room Europe. While pursuing a degree in philosophy at La Sapienza University of Rome, Marco started to take dance classes and workshops in Italy and all around Europe with, among others, Dominique Dupuy, Hervè Diasnas, Vera Mantero and Khosro Adibi. In 2006 he moved to Brussels to study at P.A.R.T.S. During his studies he researched improvisation as a tool to increase body awareness and to enrich movement vocabulary and performance skills. He regularly works with the Brussels-based company “Mossoux-Bontè”, takes part in different residency programs and is giving workshops around Europe. With Hodworks, he dances in Basse danse and co-choreographer of The way my father imagined it all. movement and composition for actors at Keleti István Arts School, Budapest. Máté Horváth was born and raised in Győr, Hungary. First he was studying theater and simultaneously he started his physical education. In 2008 he applied for Győr Dance & Fine Arts School where he was selected and later trained for five years in classical ballet and modern techniques. During his school years, he was part of Willany Leó improvisational dance theater and has been ever since. In 2013 he received the scholarship of SÍN Culture Center for a year. In 2014 he became a student of SEAD (Salzburg Experimental Academy of Dance) to continue his education for other 3 years. Máté was a guest dancer of BODHI PROJECT in the production of Fragile Matter (Paul Blackman, Christine Gouzelis) and was touring at Battery Dance Festival New York in July 2016. He became a member of BODHI PROJECT 2017/18 and he worked with several international choreographers, such as Cecilia Benguela, Jarkko Mandelin, Jelka Milic, Lali Ayguade and Mala Kline. Later in 2018 he had a chance to work with Jan Lauwers at the Salzburg Festpiele. Currently he is working and performing with the HODWORKS. Jenna Jalonen aka triplejay was born in Finland, educated in Hungary and currently based in Belgium. After her studies in classical ballet at the Finnish National Opera Ballet School and Hungarian Dance Academy in Budapest, she changed to the field of contemporary dance and performing arts. She has been dancing for and creating together with several international companies and choreographers since 2010 such as Eva Duda Dance Co., Central Europe Dance Theater, Kubilai Khan Investigations, Kwaad bloed/Ugo Dehaes, fABULEUS, Thierry de Mey, Theater Bremen, Máté Mészáros, Untamed Productions, Notch Company/Oriane Varak and HODWORKS. Currently she is performing with Beatrix Simko with their production Long time no see! which was part of the official program of Festival d’Avignon 2018 and is one of the selected productions at Aerowaves twenty19 Spring Forward. As an artist Jenna has been inspired by urban dance styles, house dance, acrobatics, circus, parkour and contact improvisation which are toys for her in the limitless playground of contemporary dance. She is teaching and developing triplewave, a movement practice inviting the dancer to enter a trip using the mechanics of a wave in the body though different dance styles and dynamics in the body. She has been sharing this movement practice in Open Training Budapest, SUB.LAB Workshops and is official member of the Flying Bodies Team. Besides her artistic field Jenna is the co-founder and driver of Collective Dope, a contemporary dance and performing arts collective currently in creation for the second production BEAT ‘ I just wish to feel you’ which is a continuation in a trilogy after DOPE ‘I just wish to help you’. Zoltán Vakulya has started his dance studies on the Budapest Contemporary Dance University, later he graduated in the Salzburg based SEAD. Afteer having complete his Danceweb scholarship, he began working as a dancer and choreographer. He is currently based in Brussels where he has worked with several choreographers and visual artist, such as [ David Zambrano, Vera Tussing, Radouan Mrziga, Bejamin Vandewalle, Kendell Geers, (…) ] while he has been choreographing and co-choreographing [ ‘PAUSE’, ‘One Two Three One Two’, ‘TogetherAlone’, ‘It’s time’ ]. he currently working with Hód Adrienn on her new piece and he is preparing for different new creations for 2019/2020. Jessica Simet completed her studies at Stockholms Estetiska Gymnasium after which she spent another two years at the School of Dance and Fine Arts in Győr Hungary. She has worked as a freelancer with choreographers such as Pal Frenak, Elio Gervasi, Avatara Ayuso, Roberto Zappala, Quan Bui Ngoc, Eva Duda, Csaba Varga, László Fülöp, Guy Shomroni and Yaniv Avraham. Her most recent project was Sunday choreographed by Adrienn Hód. Björn Ivan Ekemark is a Berlin based dancer, performer and event hostess. He studied circus at Escola de Circ Rogelio Rivel in barcelona, textile art at Nyckelviksskolan Stockholm and is currently finishing his BA in Dance, Context & Choreography at HZT Berlin. He has been working with Dewey Dell in their latest production Sleep Technique, with Peter Pleyer in the project Moving the mirror and his latest work cranky bodies dance reset. Björn Ivan is also a part of the collective TENT and working on a new project premiering in september. Between 2005 and 2007 he attended to “Studio for Contemporary Dance Company” in Zagreb, Croatia and taking classical ballet, jazz dance and hip-hop classes in the dance centers “Tala” and “Liberdance” in Zagreb, Croatia. In 2008 he is worked as a stagier in “Zagreb Dance Company” which is one of the oldest contemporary dance companies in Croatia. Between 2008 and 2010 he started modern dance education at the Amsterdamse Hogeschool voor de Kunsten. Between 2010 and 2011 dancing in Noord Nederlandse Dans company ( director Stephen Shropshire) in Groningen. Between 2011 and 2012 he participated as a professional dancer in several dance projects, “Exit” (choreographer Arno Schuitemaker), “These little nothings” (choreographer Valasia Simeon), “Abdallah and the Gazelle of Basra” (choreographers Thom Stuart and Rinus Sprong), “The Fifteen Project” (choreographer Arno Schuitemaker), Project Sally (choreographers Ronald Wintjens and Stefan Ernst) Between 2012 and 2014 de worked in a Statetheater Oldenburg ( Staatstheater Oldenburg) in the contemporary repertoire dance company, working with different choreographers: Ann Van den Broek ( “ Das Blaue”) , Sharon Eyal ( “ Plafona”), Club Guy and Roni ( “ Romeo and Juliet”, “Airways”, “Finale Grande”) Alessandra Corti and Felix Berner ( “ Niemandstag”, Sungyop Hong ( “was sie bewegt”). Between 2014 and 2016 Working in a Statetheater Mainz ( Staatstheater Mainz) as a part of a contemporary repertoire dance company “Tanz Mainz”, working with different choreographers: Jo Stromgren ( “ Fairy Queen”), Sharon Eyal ( “Plafona Now”), Daniellle Desnoyer ( “ The Blue Hour”), Jose Navas ( Denouement), Club Guy and Roni ( “4”), Alessandra Corti ( “Unendliche Nacht”). In 2017 Working with known Croatian choreographer and director Matija Ferlin ( “Staging a play : Tartuffe”) with Zagreb Dance Company in Zagreb, Croatia. Composer, singer, sound artist, graduated at the Franz Liszt Academy of Music in 1995. He received his DLA degree in religious music in 2004. Mizsei teaches literature of religious music, hymnology, mensural paleography, solfege and chamber music, as well as improvisation, music theory and literature at the Music Academy and at the Budapest Contemporary Dance Academy. He regularly participates as composer and musician in the performances of Hodworks since 2007. Szomjas vagyok (2007), Betonlótusz (2008), Kapocsolódjunk és bömböltessük (2008), Jobb a békesség (2008), Mit kezdjünk a testünkkel? (2009), A nimfák élete (2010), Mindennapi rutin (2010), CHOICE (2011), Basse danse (2011), The way my father imaged at all (2012), Dawn (2013). An improvised, intuitive, electroacoustic and noise musician, sound artist, editor, performance and conceptual artist, Zsolt Sőrés has composed and played experimental music for over 20 years. Besides traditional instruments, such as violin and the five-string viola, his work tools include home-made instruments, circuit bent toys, low- fi analogue synths, effects, sound objects, and others. Graduated in 2012 at University of Theater and Film Arts. Worked in Volksbühne in Berlin during his internship. As a freelance he worked with Katona József Theater, Örkény Theater, Vígszínház, Szputnyik Hajózási Társaság and The Symptoms in Budapest, with Theater tri-bühn in Stuttgart, with Schauspielhaus Graz and with many other independent theater and dance performance. He works with Hodworks since 2012. Since 2015 the participate in the phD program of University of Theater and Film Arts. Ábris Gryllus media artist and musician. Born in 1985, studied Visual Communication at the Moholy-Nagy University of Arts and Design, Budapest. He is part of the noise-techno formation FOR. His works were presented at the 2013 Berlin Gallery Weekend, the 2013 Vienna Design Week, the 2014 Soundscapes Festival, the 2015 Venice Biennale, the 2015 Off Biennale Budapest, the 2016 Berlin Montag Modus and the 2017 NEXT Fest Budapest. He joined with Hodworks during the creation of Solos as music editor, in 2017.